My last post discussed the absence of drama in the survival story of the year’s worst film, After Earth. 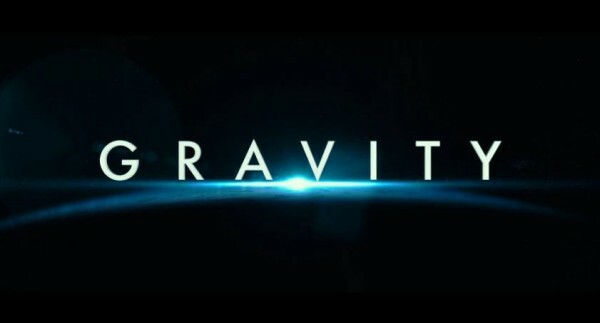 By contrast, one of the year’s best, Gravity, is a superb survival story. 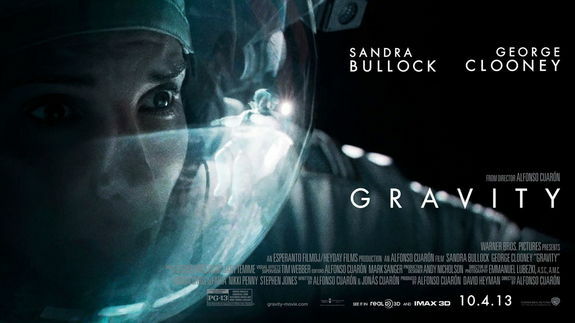 Survival is the only concern in Alfonso Cuarón’s film, as Dr Ryan Stone (Sandra Bullock) and Matt Kowalsky (George Clooney) must cope with diminishing oxygen, weightlessness and a debris field that will tear them to pieces. As the opening supertext informs the viewer, in space life is impossible, and anyone with ambitions of being an astronaut might find that Gravity gives them pause for thought. 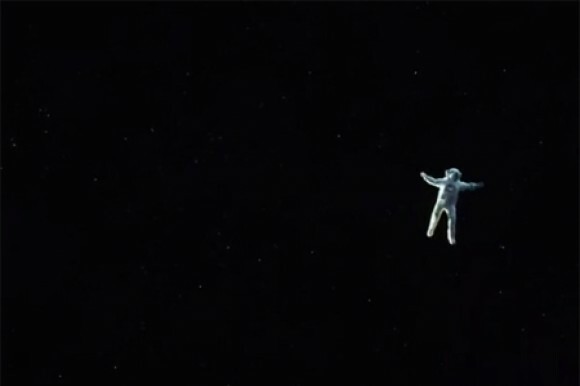 Gravity’s screenplay is textbook simple, a brutally basic survival story. Screenwriters Cuarón and his son Jonás use this simple story to structure terrifying set pieces through extraordinary use of cinematic techniques. The opening shot lasts for over ten minutes, as Stone and Kowalsky move gracefully albeit carefully in the void, before the debris collides with the space shuttle and Stone goes into a terrifying spin. I wrote earlier in the year that films like Zero Dark Thirty and Captain Phillips hit me in a visceral way. Much the same is true of Gravity, surely the closest I am ever likely to come to being in space. Rather than following Stone with intense close-ups that focus on her face, Cuarón and his cinematographer Emmanuel Lubezki frequently opt for either direct POV or subjectively-inflected shots, including a long take that begins outside Stone’s helmet, moves inside it and into her POV, and then out again, allowing the viewer to share her position on a visual, aural and experiential level. As well as these subjectively inflected shots, we sometimes see Stone spinning in long shots, with no apparent attachment, lifeline or hope. The vastness of space and the smallness of humanity is emphasised in these shots through great depth of field that presents the endless void of space. The 3D (which I have written about disparagingly in the past) enhances this sense of being in the void where one could literally spin and fall for ever. 3D is like any cinematic tool, such as CGI, practical effects, music, sound, etc., and like these other tools, when used judiciously it can enhance the experience. That said, I will be interested to watch Gravity again in 2D, and I expect it will still be effective, not least because of the realistic feature of silence. In space, no one can hear you scream, or indeed anything, and the silent vacuum adds another threatening element. The most dominant sounds are voices, breathing and electronic beeps, which emphasise the isolation of the characters in this utterly alien environment. When collisions take place between the debris and the space craft, rather than the familiar (therefore, comforting) sounds of crashing, there is silence. The most striking use of this silence occurs when a space capsule door is opened and the atmosphere rushes out in a silence that is almost deafening. When viewing grave danger, we are accustomed to hearing it at great volume, whether the sounds are screams, shots, explosions or simply the clatter of things against each other. By eschewing sound, Cuarón further enhances the sense of an alien environment where humans are out of place and out of their depth, entirely at the mercy of gravity. The fantastic technical features, combined with Bullock’s performance, ensured that I felt Stone’s anguish and terror on a physical level with each camera lurch, dip and pan. 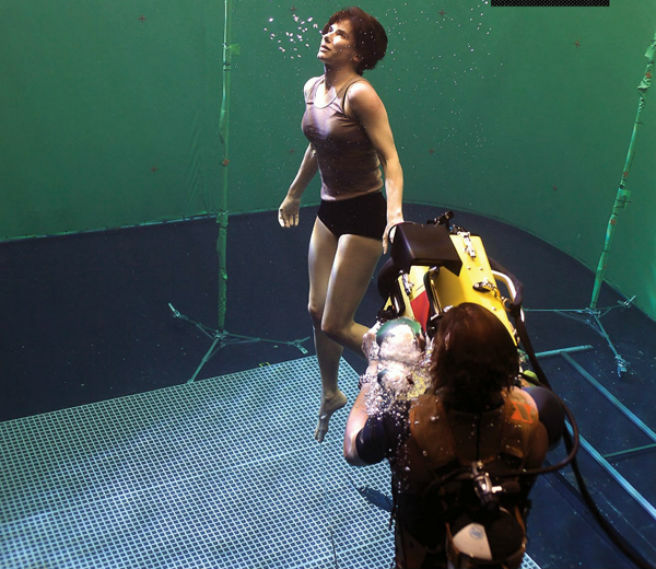 The technical intricacy involved in Gravity is remarkable: in an interview Cuarón explained that camera set-ups and movements were programmed using equipment similar to those used in car assembly, while production stills show Bullock swimming underwater in greenscreen environments in order to simulate zero-gravity motion. The attention to detail in the space stations is exquisite, these digital sets appearing both functional and personalised, homes in the most inhospitable environments. Nor is danger ever far away, as not only are oxygen supplies dwindling but the field of debris orbiting Earth repeatedly returns to inflict further damage. The knowledge that the debris is coming, knowledge shared by Stone and the viewer, increases the almost unrelenting tension. There is one, quiet moment of reflection when it appears all hope is lost, which is intensely moving as Stone starts to sink into eternal unconsciousness, her tears seeming to float out of the screen towards the viewer which, again, allows us to share her experience. This moment is brief, however, and the desperate struggle for survival rapidly resumes. Gravity is cinema at its most beautiful and terrible, taking us to a strange new world in the most visceral and exciting way possible. James Cameron has said that Gravity is the best space movie ever made, and I agree, because it is a film that creates an approximation of being in space, which is relatively rare as most space movies largely take place aboard spaceships. In Gravity, the environment of space itself, along with all its terrible beauty, is created, emphasised and expressed. Cinema at its best is experiential, and the experience of Gravity was one of the most powerful I had this year. By vincentmgaine in Uncategorized on December 28, 2013 . Looking forward to seeing it. In science fiction, my understanding is that there is a distinction between American and British style of sci-fi. The American is more starwars, the British is more the expansion of a single idea along its trajectory. As such, children of men is an exceptional British sci-fi. Something of the zombie genre (and more interesting in many ways), unlike avatar for example. There are loads of examples of Americans writing British and via versa. What’s your thoughts? My thoughts are that that distinction is a very simplistic and reductive view of science fiction and nationality. It is not something I’ve come across and suggests that nationality can be easily pinned down, which is not the case. Nationality of genres and even of individual texts is often multiple. ‘Children of Men’, for instance, is not straightforwardly British. It may have a British setting and predominantly British cast (though not entirely, as Julianne Moore and Danny Huston are both American), but its director is Mexican and it was distributed by Universal. It was produced by Strike Entertainment, which was an American company, as well as Hit and Run Productions, which was British. The novelist is British but the screenwriters hail from Mexico, the US and India. Classifying ‘Children of Men’ as British is overly simplistic and fails to take account of transnational filmmaking. Your reference to the ‘zombie genre’ is unclear. Are you saying ‘Children of Men’ is like a zombie film? If so, how? What is more interesting, and in what ways? What are you using ‘Avatar’ as an example of? And what are some examples of Americans ‘writing British’? It’s a very weird term and I’d be interested to know what you mean by it and where you have come across it. That’s not the only term you use that I don’t understand. What does ‘more “Star Wars”’ mean? Action-oriented? Focus on setting and tropes rather than concepts? In that case, where do films like ‘2001: A Space Odyssey’, ‘Blade Runner’, ‘Metropolis’ or ‘Back to the Future’ fit into this understanding?